That's Peachy | Award Winning North East UK Fashion, Lifestyle, Beauty Blog: Is Blogging Really Over? There's been a rumour spreading around the blogging world recently, I've seen it mentioned in blog posts that I've read, I've seen it being discussed on all forms of social media and I've heard it in person, bluntly from someone's mouth. If you look up the definition of rumour, I'm sure you are all aware, it's something often related to a lie or a report of uncertain or doubtful truth. However, there's something about this certain rumour that has made me experience a vast amount of emotion. Part of me feels sadness, I've experienced a little anger, some worry and even a little regret. Mostly though, I feel relief, relief that this is only a rumour, something that isn't true and definitely something that we as bloggers, and readers of blogs, should all be ignoring. This rumour I am talking about, maybe you know, maybe you've worked it out, but to clarify, I've heard a rumour that blogging is dying, that people don't read blogs anymore, that Instagram is taking over and that soon blogs won't exist. I don't think blogs are dying. There, I said it. I don't see how they can. I for one, love to read blogs, I also love to write my blog and I know I'm not alone in saying that. There are probably a million others who feel the same, so why would blogs be dying? Is it because of Instagram and the growth of the Insta-Influencers? Because, I too love Instagram, its fast, it's instant, but it doesn't mean that blogs have to disappear as Instagram grows, because really, they're two completely different platforms. Who's to say another platform won't appear in the next six months, that we all sign up to and put effort into creating content for and building a following on, that doesn't mean Instagram will die too! In some ways I feel as though this rumour has spread by a way of scare tactics, because everyone knows that blogging is more common now than ever before. When I started I was a fish in a small pond of others, and now we're all drowning in this overcrowded ocean of bloggers, all fighting to be noticed, all fighting to survive. Years ago bloggers helped each other, but I notice more and more how the community is predominantly a battle to become the most successful. Simply because people start blogging for completely different reasons to why we chose to start blogging a decade ago. It was so innocent back then, we did it for fun, as a pass time and I'd go as far as saying almost every blog that's started these days, is started with the intentions of some kind of financial gain, which to those of us who've been in the game for many years, is completely transparent. My only other answer to this could be that it's the people who don't put effort into their own blogs starting these rumours, and just because you're not getting the traffic, doesn't mean that others aren't. Please don't take this as me saying that if your stats are falling, that you're not putting effort in, because that isn't what I'm saying at all, however I do believe that you get out of things what you put into them. 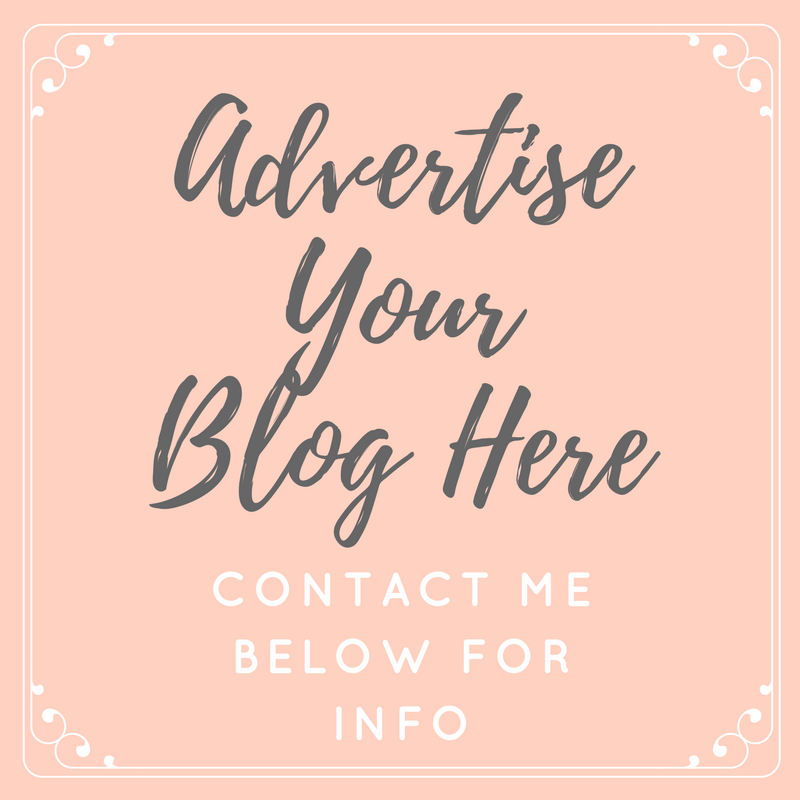 Personally, I find blogs a go-to source of information on a daily basis, whether I'm looking for a product review, somewhere to eat or inspiration for interiors, you can always find the answer on a blog. I do think that blog commenting has suffered recently, I know my blog doesn't get half as many comments as it used to, however, I get people chatting to me about my posts on Twitter & Instagram DM's, and as this is a much faster, more instant way of contacting me, I do get it - Although I can't help but miss the comments! I'd love to hear what YOU, my blog readers think, preferably in the comments! Do you follow me on Instagram too, or are you purely a blog reader? As a reader of blogs, the majority of people I follow on Insta, I also read their blog... Sometimes I want a good sit down, a good binge read and that's where I look to blogs over any other social media. I find it more of a luxury to read a blog, more relaxing and overall a more enjoyable experience. With Instagram, it's a fast flash of info, if I only want to know where someone bought that top, that's when I go to Instagram over their blog. It genuinely makes me sad to be seeing more and more magazines closing down, with Look being the latest victim to the demise of print media, probably down to bloggers more than anything else if I'm honest. Which is even more sad because Look used to promote bloggers so much, and personally they helped me massively, it's awful that it's gone full circle and ended up finishing them off (amongst other factors I am sure). And I do guess that this could add fuel to the fire and the rumors that blogs will be next. When it comes to me though, I'm putting it out there, my blog isn't going anywhere! It's a huge part of my life, and hopefully will continue to be for a very long time. To sum up, I don't think anyone has to stop blogging, just because their stats aren't the highest they've ever been, that really shouldn't be what it's all about anyway. Do it because you love it, that's why we all started doing it in the first place, right?! Great topic and post Tor. Definitely seem it floating around the internet myself, but to be honest, I hadn't really sat and thought about it. My blog has and always will be a hobby to me. A source of relief. A getaway. I feel that if it were more of an income to me that I may be more concerned. I think there's a definiate shift to Instagram, however it's inevitable as as much as blogging began as journalling and has now become the possibility of being a 'business/brand', change will happen. But, I love reading and although set myself a target to comment on at least 3 posts a week, plus share 3 - I comment on those that speak to me. Everyone should just keep doing them. I predominately use Instagram on a daily basis, but if I'm looking for reviews, or places to eat, or fashion blogs are where I go to. Whether that's searching on a blog that I know will have What I'm looking for, googling a review, or have a browse through Bloglovin'. I don't think blogs are dying. I think with the decline of print they'll be more popular than ever! I really don't think blogging is dead. If anything bloggers should futueproof their content - Instagram could go pop at any time and if you neglect your blog, you're screwed! I still enjoy the personality and passion that goes into blogging. And I love that bag!